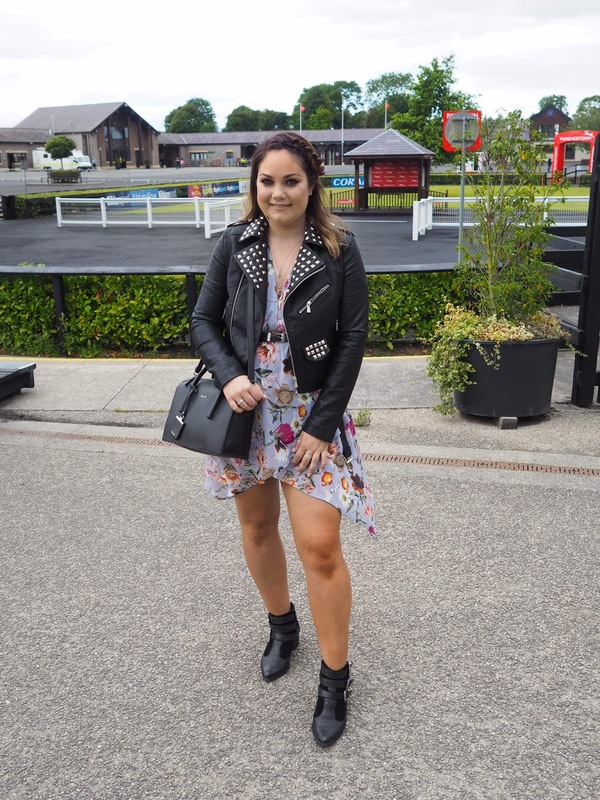 Festival fashion is one of those styles that Irish gals do oh so well! Some rock boho vibes, others choose neon and glitter for festivals but one thing we all have in common for festival season is that we love to look our best and take it as an opportunity to express ourselves. A festival is a time to wear bright colours, the summer is in and it is time to forget all your worries. Let your hair down with your bestie and have a ball feeling and looking your best! Bold prints and pops of colour will be your best friend for getting into the festival spirit. This gorgeous dress from Pretty Little Thing has everything you need to rock a festival outfit. The style and shape of this dress is quite soft and romantic because of how it flows at the end however, it is not overly hippie style either. It has a trendy cold shoulder detail on the sleeve and the neckline feels young, vibrant and you just feel like you are ready to party. This dusty blue colour is the perfect backdrop for the splash of coloured florals. This print is so cute! 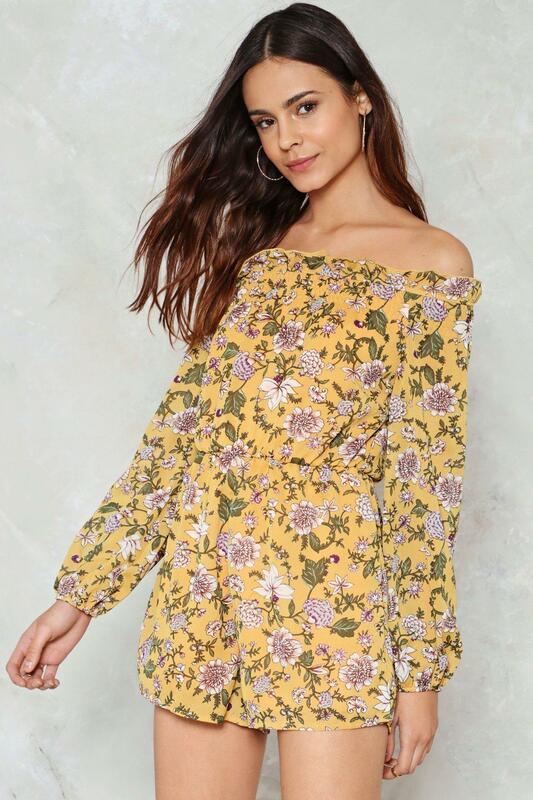 This dress just screams summertime, fun and style plus you will save yourself so much hassle by choosing a dress for a festival, all you have to do is throw it on and go! Team this with a fab tan and a leather jacket and you are good to go. The leather jacket is such a classic item in every wardrobe that we all rely on and festivals are no different. Even if you want to change up your style a bit for a festival it is always handy and very chic to have a leather jacket on over all the colour and frills. It really brings the whole look together and the outfit looks more done. Take some inspo from this look and shop some more gorgeous festival-worthy dresses and outfits here. How cute would this white playsuit be with a big over sized denim jacket and short ankle wellies? Cute, romantic and frills for days! Love! Shop it from ASOS here. Another cute and simple playsuit here but this time with lots of print and colour. If you are feeling like trying something new for a festival this wide sleeve oriental inspired printed playsuit could be the one for you. Plus it is so affordable! Shop it from ASOS here. Imagine when you make it to day two or three of a festival and all you want to do is wear something comfortable but still look stylish. This t-shirt dress could answer a lot of your prayers! This dress is edgy, oversized and on trend right now! Shop it from Missguided here. 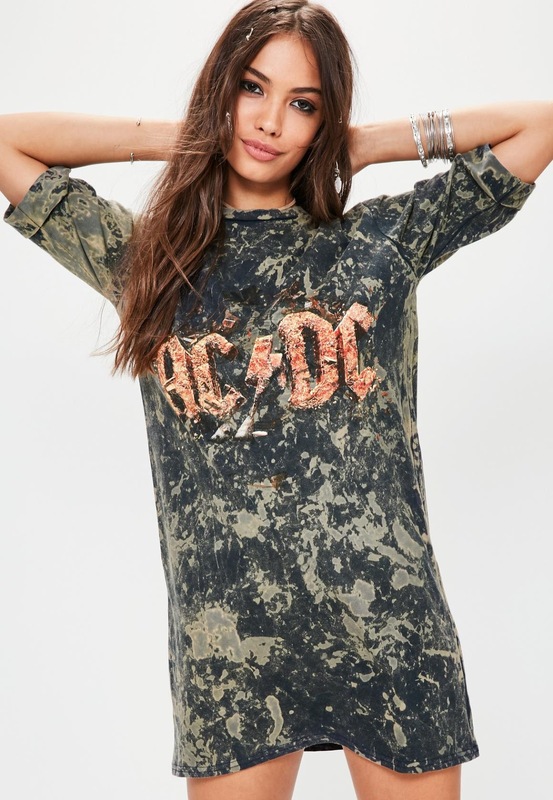 Tie dye is another experimental style that can come up again and again for festival season and this dress has something classy about it while still being super fun. Layer on all of the jewellery and party the night away in this Missguided dress. Shop it here. This colour is beautiful! Taking some inspo from my Pretty Little Thing dress and throwing some florals into the mix is always a good idea for a festival! Statement earrings and a dark tan and you are good to go! Shop this from Nasty Gal here. What would a festival be without some statement sunnies? These are what our festival dreams are made of. 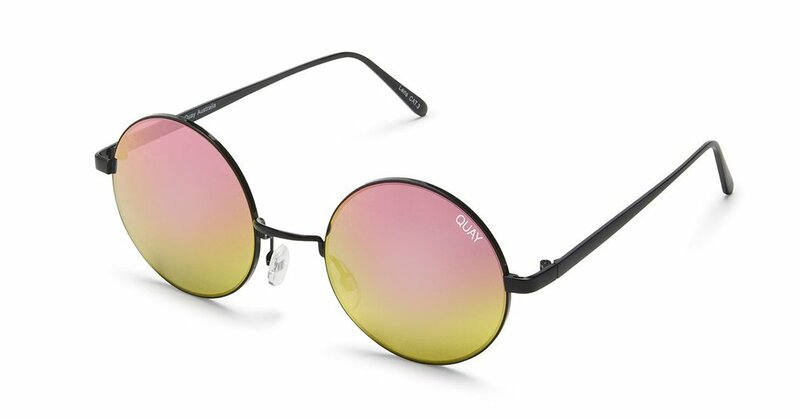 You could wear jeans and a t-shirt and these glasses would instantly change your entire outfit. Shop them from ASOS here. Wow! This jacket does all of the talking for itself. 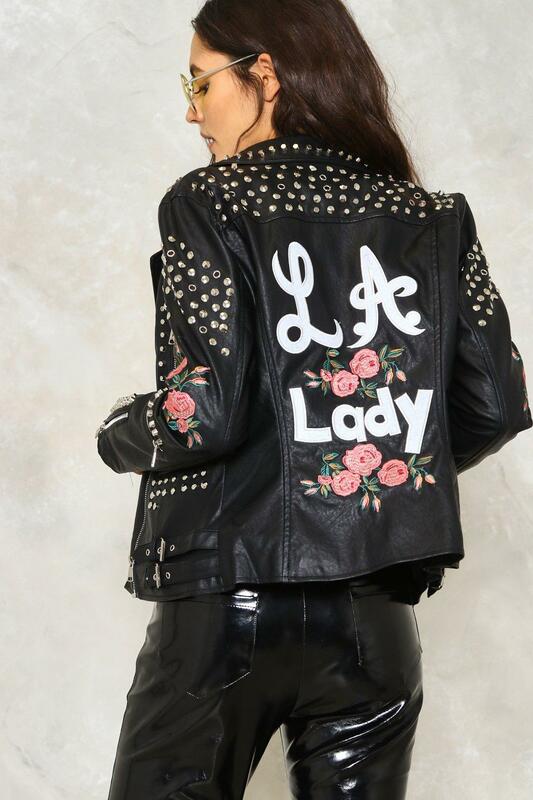 There is nothing like a good studded leather jacket but this one comes with all of the extras - embroidery, writing, studs and zips everywhere this jacket with give an edge to any pretty dress underneath. Shop it from Nasty Gal here.